Located 177km and a short 40 minute flight from the island of Tahiti, Huahine is arguably, the most picturesque in all of French Polynesia. With steep mountains descending into protected bays of azure blue and emerald green colours, the island is also one of the more geographically diverse of the Society Group. Also known as “The Garden Island” due to its abundance of lush green tropical foliage and wild jungle-like scenery, Huahine is one of the more interesting of the Society Islands to explore. Huahine itself is actually 2 islands known as Huahine-Nui and Huahine-Iti (Big Huahine and little Huahine). Interconnected by a bridge, both islands can be easily explored in a day or two, making this a travel destination you will never forget. Huahine houses some of the most extensive and best preserved archaeological remains in French Polynesia and is rich in culture. 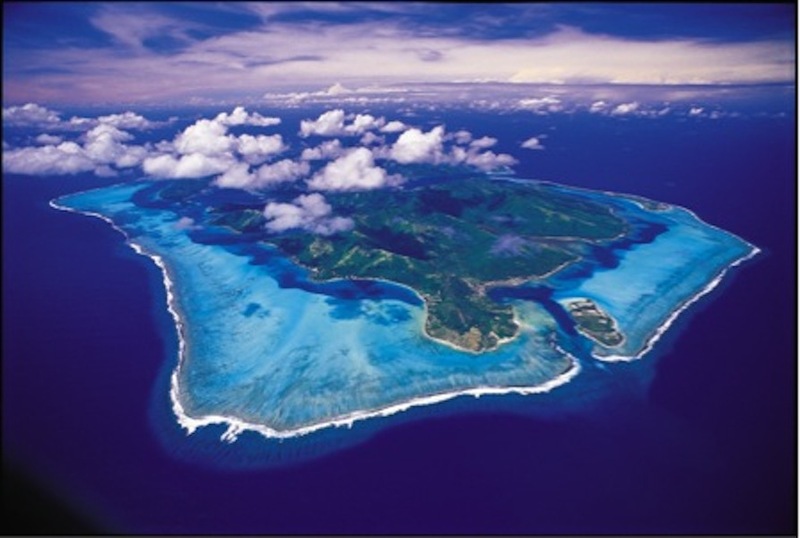 Similar to its cousins Raiatea and Taha’a, Huahine is far less visited than Moorea, Bora Bora and Tahiti! (and that’s a good thing). This island is so relaxing and stress free that many people pick it as their favourite Society Island after travelling here just once. There’s an abundance of long and beautiful white sandy beaches on Huahine… and the good news is that on this island, most of them are easily accessible. Huahine will suit those looking for a slower pace who are interested in history and culture on a beautiful island, just waiting to be discovered.